Goodbye posing - Hello authenticity. You'll never approach posing the same way again. Create human connections + heartfelt moments. 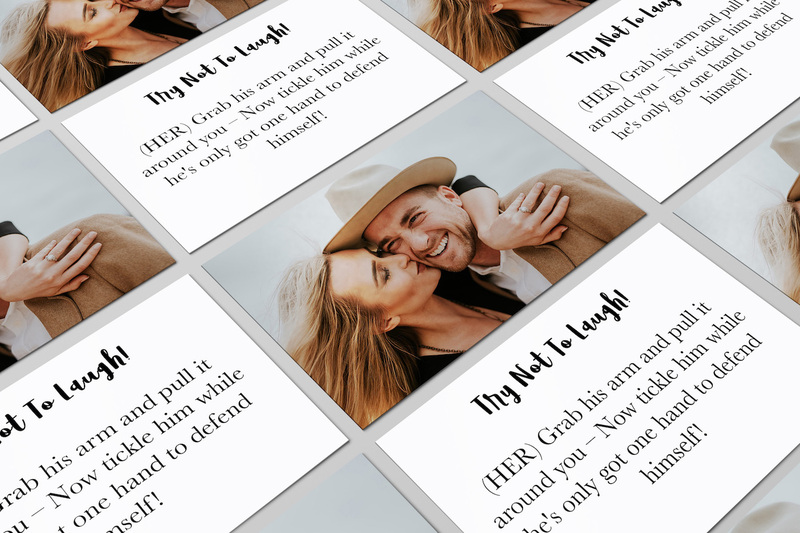 46 candid posing prompts that will get your couples connecting, having the best time ever and totally immersed with each other! Do you struggle with posing? - You're not alone! Struggle to get poses to look natural? Tired of memorizing a million different combinations, only to have your mind go blank on the day? Tired of the fake laughs and pretend emotions? Your couples don't want pretend. They want to look back at their photos and actually remember something special - Forget the fake laughs and pretend smiles. Learn to craft real, genuine moments - every time! What if there were a way to create those REAL moments on demand? 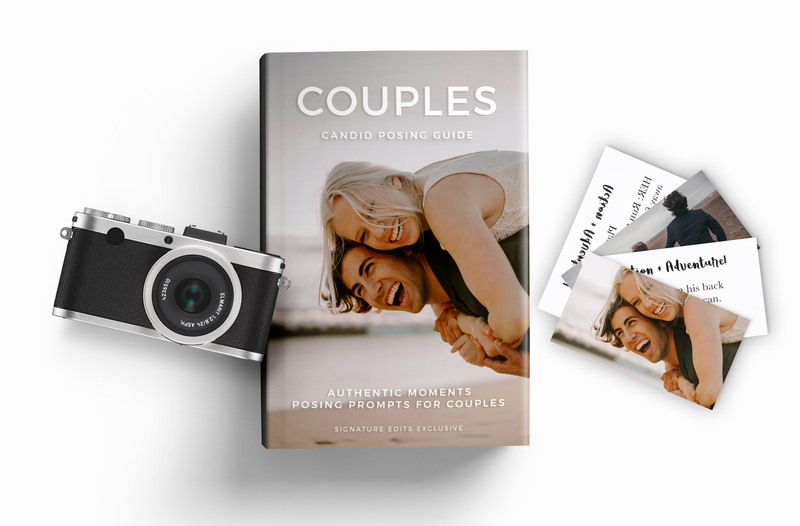 Introducing the Couples Candid Posing Guide. I had no idea how to cultivate candid prompts into my sessions until I read your guide! It has always been my goal to create emotion during my shoots but sometimes I felt like I was hitting dead ends with them. Ever since I have read the Candid Posing Guide, I have gotten the best feed back from my clients! I had lost my voice a few weeks ago and the client texted me after, "I loved meeting you, Its funny, even with you losing your voice, I could tell you were so sweet and an amazing communicator!" and I know I wouldn't have been able to do that before this guide, let alone with losing my voice. I can’t tell you how many times the Candid Posing Guide gets me out of the rut!! These are my go to!!! If you're looking for real moments - Posing prompts are unreal! Tried them for the first time and I was blown away at the laughter & fun they created. Delivery makes a HUGE difference, and the guide gives great tips! I absolutely love the Couples Posing Guide, but most importantly my couples love how fun the session is with the help of the guide! I finally got a chance to use the prompts on a surprise proposal and OMG!!!!! Thank you so much for creating this! I felt so confident going into this session and the photos turned out so good. Never run out of ideas again! Walk away from posing and step into real moments with 46 energizing, engaging activities designed to get your clients interacting and having a (genuinely) awesome time! Get your couples laughing + having an amazing experience! Life is an adventure! 10 Prompts for moving, jumping, spinning & high energy. Get your couples connecting + spark real affection. *No more awkward, forced poses. *Say goodbye to cheesy smiles. *Give your couples an unforgettable experience! How would you like to create real, beautiful connections on demand? Does your mind ever go blank trying to think of things to do with your couples? Do you struggle to get couples poses to look natural or heartfelt? You'll never run out of ideas again, because you'll know how to create REAL moments. So simple, yet so effective. Do you crave those real, honest expressions? Posing prompts will give you the tools. Go through the prompts before your shoot. Take a few photos of the prompts you want to try during the session so you have them for easy reference on your camera. Then simply get the couple started and capture the magic. The photos are surprisingly natural and beautiful. You know what's the best part of using prompts instead of poses? The moments you create are REAL! When you hand your couples their images, they'll mean the world to them. When the emotions are REAL, the photos are priceless. Using posing prompts has completely changed our photography. We're 100% confident it will do the same for you! 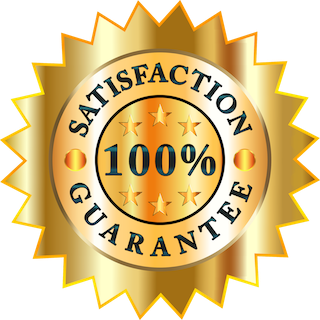 We have so much faith in these posing prompts, we're including a 100% money back satisfaction guarantee. Buy them, use them in a session, and if for any reason you're not blown away with the results in the first 30 days, we'll refund you in full. Get product updates, launch info, and special deals by signing up for our newsletter.